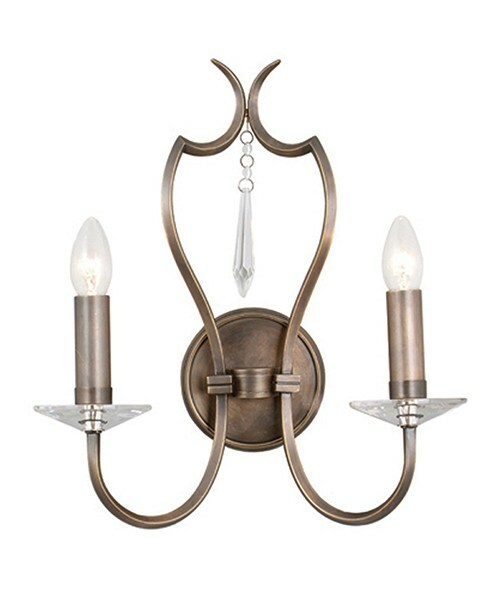 This product is a two light wall fixture that comes in a dark bronze finish. 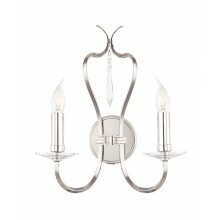 It has a unique yet simple design, consisting of a simple round wall mount and two attached arms that are curved and meet in an interesting geometric fashion. 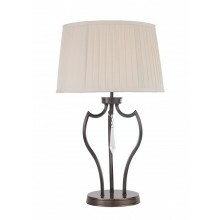 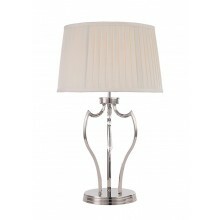 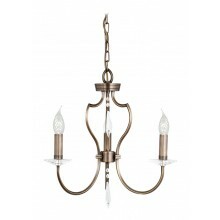 The two bronze arms each hold a candle style lamp with a maximum wattage of 60w apiece. 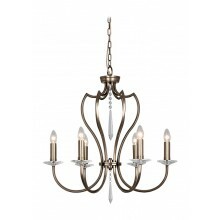 The design also features an elegant hanging glass pendant near the top of the fixture. 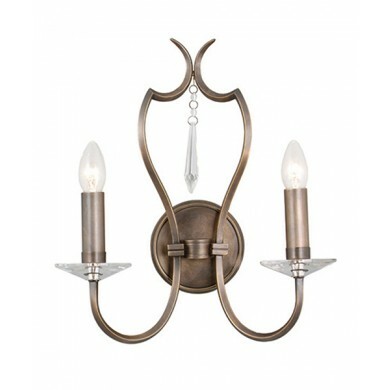 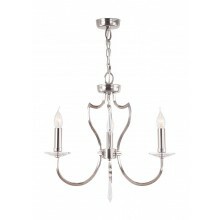 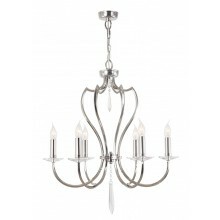 This fixture is elegant and stately and is sure to dress up any hallway, entryway, or living area in which it hangs. 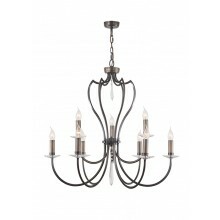 The neutral tones of its dark bronze finish help it to blend well with various styles of decor.